This Student Handbook is designed to assist you in becoming acquainted with the University community, as well as its policies and procedures. It will provide you with information on the many services and programs at St. Cloud State University and will serve as a resource while you are a student at SCSU. The Handbook also contains the Student Code of Conduct, specifically, information on how to be a responsible member of the community. The Student Handbook is published by the Office of Student Life and Development, Atwood Memorial Center 219, www.stcloudstate.edu/sld or (320) 308-3111. TTY: 1-800-627-3529. St. Cloud State University is an affirmative action/equal opportunity educator and employer. Requests for the St. Cloud State University Student Handbook in alternative formats may be made by contacting the Office of Student Life and Development in Atwood Memorial Center 219, or by calling (320) 308-3111. TTY: 1-800-627-3529. 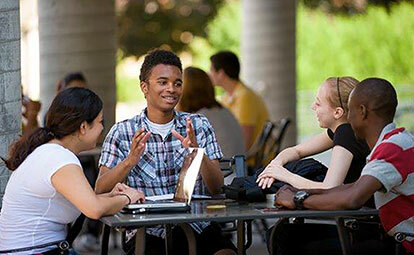 University policies are written statements that translate the University's mission, values and obligations into daily actions. Handbooks serve as a guide for students to understand expectations and locate information. Pursuant to the Family Educational Rights and Privacy Act of 1974, students at St. Cloud State University are afforded certain rights with respect to their educational records.